Our first contest of 2019 is here! 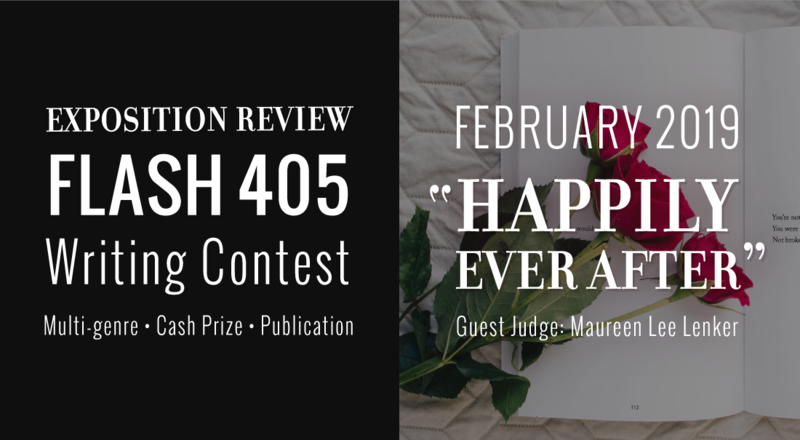 This year’s February Flash 405 will celebrate Valentine’s with a “Happily Ever After” theme from guest judge Maureen Lee Lenker. Flash 405 is Exposition Review’s multi-genre short form writing competition, awarding cash prizes and online publication to the winners. You can read the full rules and find past contests and winners here. Entries for our next round will be accepted from February 4-March 5, 2019 via Submittable. Maureen Lee Lenker is the romance columnist at Entertainment Weekly. She also covers film, theatre, and TV as a writer there. Her work has appeared in a wide variety of publications, including Turner Classic Movies, The Hollywood Reporter, LA Weekly, and more. In addition to covering romance, she has also had two romantic short stories published in the anthologies Christmas Nookies and Then Comes Winter. 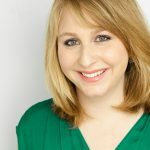 Maureen has previously been involved with Exposition Review as a director of their annual staged readings, and is thrilled to be joining the journal for this more literary adventure.